A bit late to share our review, Grid 2 is not as famous in India as its contemporaries like Need For Speed & Forza but still I was pretty eager to get my hands on the GRID 2. Though always a lover of racing simulators I am seriously amazed. 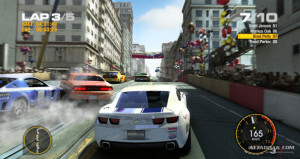 Alright, Codemasters have definitely opted to focus on arcade racing – that is clearly evident – but they’ve also succeeded in creating a racing title which is multi-faceted, full of surprises, and just downright fun to play. 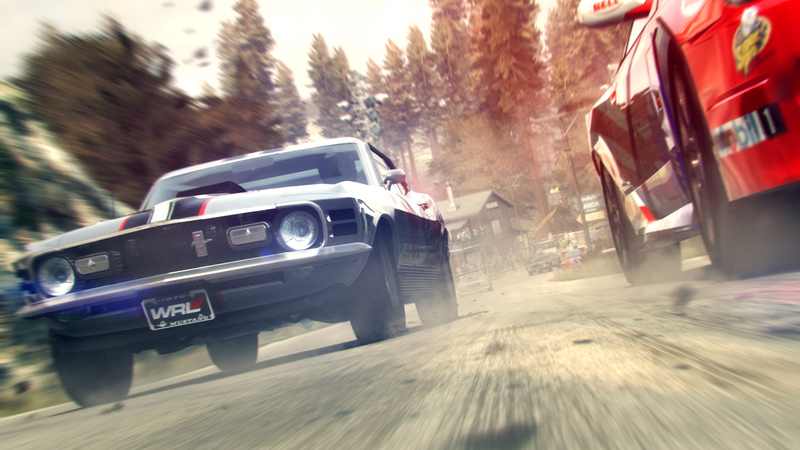 Grid 2 is all about the racing. Career mode has no unnecessary fluff, presenting you with a list of races and then handing you the keys. There’s a backbone tying it all together – you’re competing in a new racing franchise and must accrue fans in order to boost your reputation – but that’s it. More fans unlock more advanced events and the chance to win more cars, allowing you to focus on the action that takes place on the tarmac. The drift system takes centre stage, with drifting incredibly simple to perform, meaning you’ll be flying round corners within your first couple of races. What makes it so rewarding, though, is that mastering the system requires a deft touch and there’s a real skill to approaching a corner at the right speed, controlling your car during the drift to stop it spinning out or under-shooting, and then exiting the bend with maximum acceleration. It’s a system that rewards bravery and daring. Whereas in Codemasters’ F1 series the rewind system provided a reminder that you need to drive very carefully, offering a limited number for long races, in Grid 2 the rewind system feels more like a challenge. 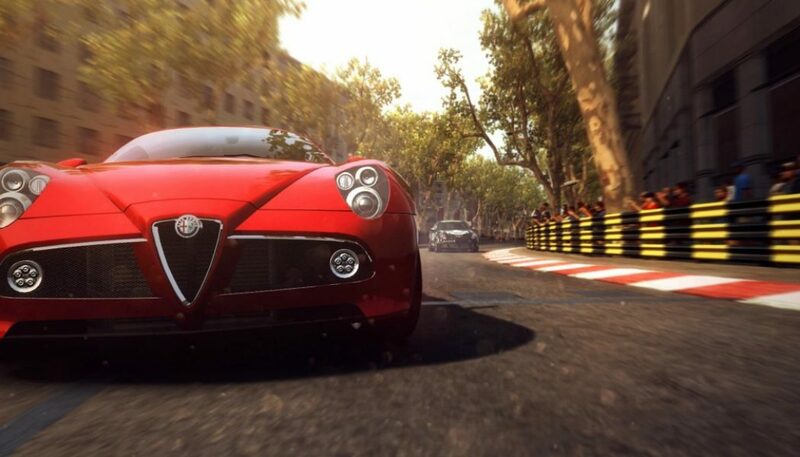 You get 5 rewinds on medium difficulty races – races that last around three minutes on average – which encourages you to take big risks and really push those long drifts on corners. If you end up careering down the mountainside towards the sea or skidding into a barricade at 150mph, it doesn’t matter – you can just rewind and approach with a bit more caution the second time. 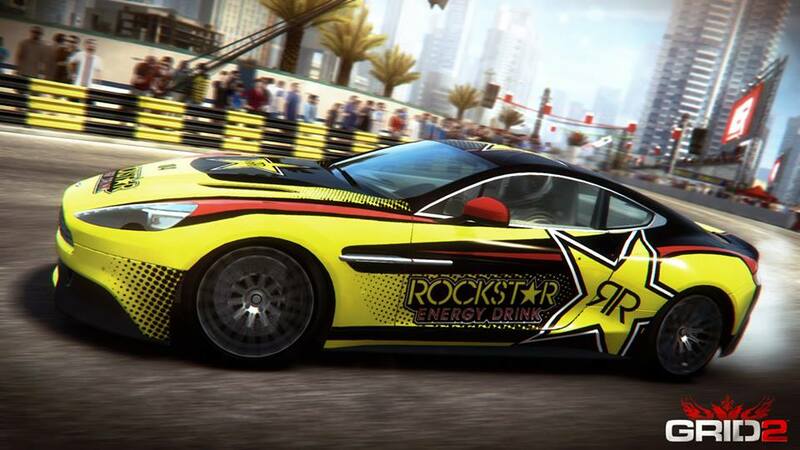 The trick is all about adopting a balanced racing style that the game rewards. Drive aggressively when you need to – brake late, ease other cars out at corners, fly full throttle into drifts – and then use rewinds to correct your mistakes should you make them – be they ones that cost you valuable track time or, often worse, bits of your engine. Racing like this will quickly teach you how to maximise the drift system and when its wiser to utilise more caution, and there’s enough forgiveness to make those lessons lack any sense of frustration. The range of events includes: overtake events, where your aim is to overtake as many slow lumbering trucks as possible without crashing, which increases your score multiplier. Checkpoint events are based on adding time to a countdown where you attempt to get as far along the course as possible. The self-explanatory drift events. ‘Touge’ events which involve trying to get a 5 second buffer between you and your opponent in a one on one race. Face Off, also a one-on-one event, is truly flawed, in that it involves racing the same track three times in an attempt to beat each opponent, working your way up the elimination ladder. This would no doubt be better with differing tracks, but at the moment it’s mind numbingly boring by the third attempt. The Live Route events are something new, as they pit you against other racers on a dynamically changing race track. This really forces you to keep an eye on the road ahead and also adds pretty much endless variations to the tracks. Working your way through the single player is fun, well presented, and contains enough events to really keep you busy. Final Word : GRID 2, represents a real shift towards the arcade racing genre, which trust me is a lot of fun. It is NOT a racing simulator, but it is a great arcade racer. Note of Thanks : We thank our friends at Snapdeal Gaming for sending us a copy of Grid 2 🙂 You can check out the latest gaming accessories and much more at Snapdeal.